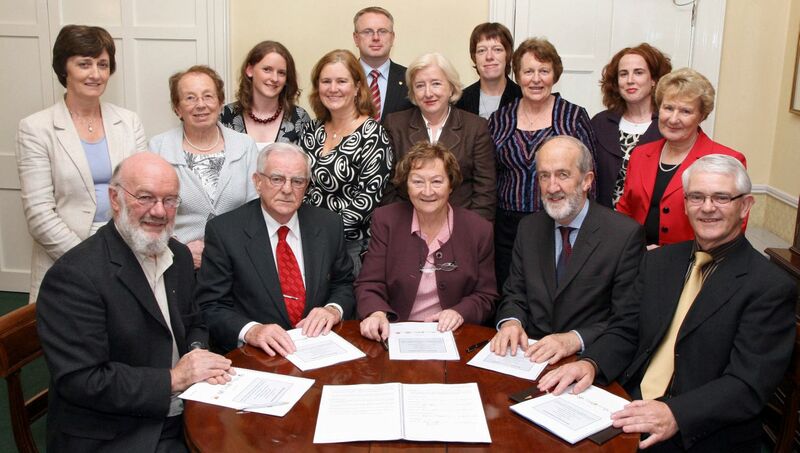 The Chairs and CEOs of five of Ireland’s age sector NGOs came together on 2 October 2009 at the offices of The Atlantic Philanthropies in Dublin to sign a Memorandum of Understanding. Atlantic seeks to increase the capacity of key organisations, including those made up of older adults, to advocate to protect government services for older adults. The five organisations are Active Retirement Ireland, Age and Opportunity, The Carers Association, the Irish Senior Citizens’ Parliament and Senior Helpline. The five organisations committed themselves to working together initially on shared premises, collective purchasing and hiring of expertise and a funding initiative. demonstrated cost savings across a range of goods and services. A formal review of implementation will be carried out and the scope for broadening and deepening the Collaboration Initiative will be explored.